Communications between Chinese and U.S. nuclear experts are sometimes difficult and inefficient, in part because of the differences in the ways the two sides think about nuclear weapons. Chinese nuclear experts began to join international nuclear dialogues in the late 1970s when China launched its policy of reform and openness. Their communications with U.S. nuclear experts are sometimes difficult and inefficient, in part because of differences in the ways that Americans and Chinese think about nuclear weapons. One aspect of this divergence is terminology. Some international efforts have been undertaken to develop a common language among nuclear experts from different countries by compiling multilanguage nuclear glossaries.1 These glossaries are a useful first step to smoothen international communication on nuclear issues, but they are not enough to eliminate misunderstandings caused by divergent beliefs and analytical paradigms. This article summarizes the findings of a project by the Carnegie Endowment for International Peace on Chinese nuclear thinking.2 The project aims to promote an effective and efficient dialogue between Chinese and U.S. nuclear experts by developing each side’s understandings of the other side’s thinking on nuclear weapons. Several important security concepts have very different meanings in China and the United States. The differences are rooted in philosophical, historical, and cultural contexts and cannot be clarified simply by translating one side’s words into the language of other. The word “security” itself is difficult to translate in Chinese. In English, security generally is about avoiding damage caused by intended human attacks while “safety” is about avoiding damage caused by accidents or natural disasters. In Chinese, the word “anquan” refers to the avoidance of damage from any cause and thus encompasses the meanings of “security” and “safety” in English. At its first meeting, in April 2014, the Chinese Council of State Security, which is analogous to the U.S. National Security Council, announced 11 important security issues that it would address, most of which are nonmilitary issues.4 According to China’s comprehensive security theory, military and nonmilitary security issues are at the same level of importance and should be managed synergistically. In the trade-off between the military power and the safety of nuclear weapons, the comprehensive security theory allows China to optimize its nuclear weapon systems in a more comprehensive framework. This can explain why China chooses to keep its nuclear weapons at a low level of alert. A higher level might strengthen the deterrent power of Chinese nuclear forces, but it also increases the risk of accidental launch and other safety problems. A “purely military viewpoint” that optimizes a weapons system only with regard to its military effects has long been criticized as unwise by the leaders of the People’s Liberation Army. China also has a very different understanding of the concept of nuclear deterrence.5 For a long time, Chinese and U.S. nuclear experts have had communication problems in their exchanges about the concept. The Americans generally believe that nuclear deterrence is a defensive posture while the Chinese criticize the offensive nature of nuclear deterrence. According to the U.S. understanding, both deterrence and compellence are considered coercion. Nuclear deterrence is to force an adversary to give up an action by threatening to use nuclear weapons while nuclear compellence is to force the adversary to take an action.6 The belief of the U.S. strategic community is that nuclear deterrence and compellence are distinguishable. If a coercive action is intended to change the status quo, it is compellence; otherwise, it is deterrence. The definition works well when it describes a coercive behavior in an isolated, large international conflict. For example, in this school of thought, if a country relies on the existence of its nuclear weapons to prevent a nuclear attack from its rival, it is an example of nuclear deterrence. On the other hand, if a country uses the influence of its nuclear weapons to occupy a large piece of its rival’s territory, that is nuclear coercion. Many international conflicts, however, are small, and many large conflicts begin as small ones. In many small conflicts, it is very difficult to determine which country changed the status quo first. If a country wants to exploit its nuclear weapons in a small conflict or in an escalation of a small conflict into a larger one, it would be very difficult to distinguish compellence from deterrence. A country could launch a conventional attack against its adversary and use its possession of nuclear weapons to dissuade a conventional counterattack. In this case, nuclear weapons seem to play a deterrent role if one looks at only the second step in conflict. Yet, one could argue that nuclear weapons play a compellent role in the context of the whole process. The Chinese believe that nuclear deterrence and compellence are not distinguishable if the influence of nuclear weapons is applied to small conflicts or the escalation of such conflicts. An arms race could be driven by concerns about a weakening of national security or influence in one side or in both sides of a pair of adversaries. If each of two rivals wants more nuclear weapons to better protect itself against attacks from the other side, this is an arms race due to the security dilemma. If each side wants more nuclear weapons to support its bid for leadership in the world, this is an arms race for hegemony. When Americans talk about an arms race, it is usually about the security dilemma; when the Chinese talk about an arms race, it is always about global hegemony. In Chinese eyes, the nuclear arms race between the Soviet Union and the United States during the Cold War was driven mainly by the two countries’ ambitions for global hegemony. When China explains its self-constraint with regard to the growth of its nuclear weapons stockpile, it always pledges that it will not engage in an arms race with other countries. By that, China means that it will not seek to amass a large nuclear arsenal for the purpose of global hegemony. Yet, if China sees the development of new strategic capabilities in other countries undermining its nuclear retaliatory capability, it certainly will consider the option of deploying more nuclear weapons. For example, one option for China to respond to growing U.S. missile defense capabilities is to develop more offensive missiles. If such a quantitative missile competition took place between China and the United States, it would be an arms race due to a security dilemma. The Chinese commitment rules out a strategy of nuclear growth for global hegemony, but it does not exclude a strategy of nuclear growth to respond to a security dilemma. The two types of arms races mentioned above are different in their natures. An arms race for global hegemony always includes quantitative competitions. A country that has the goal of global hegemony cannot accept a larger strategic nuclear arsenal in any other country. In contrast, an arms race due to the security dilemma does not have to include quantitative competition. A small and survivable nuclear force is enough for the purpose of security. This is why China feels comfortable with the small size of its nuclear arsenal. Its responses to new strategic capabilities in other countries do not have to involve an increase in the size of the arsenal if available countermeasures are smart and cheap. 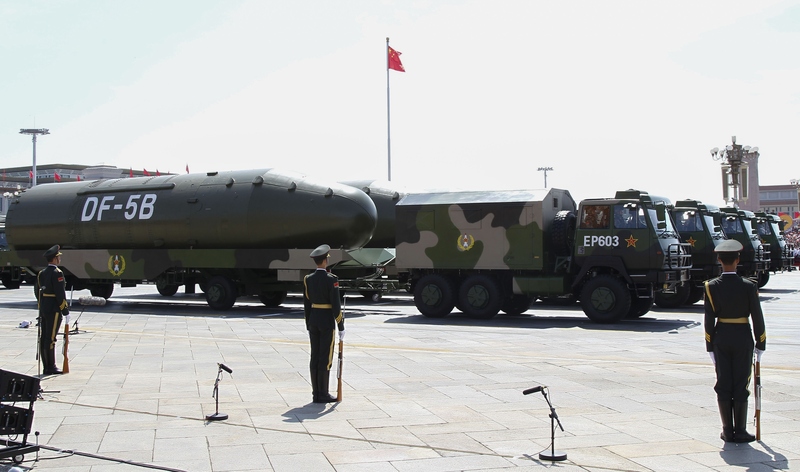 Chinese nuclear experts worry about new strategic capabilities in the United States, including missile defense and the ability to deliver precision conventional strikes, but the choices of countermeasures are still open. 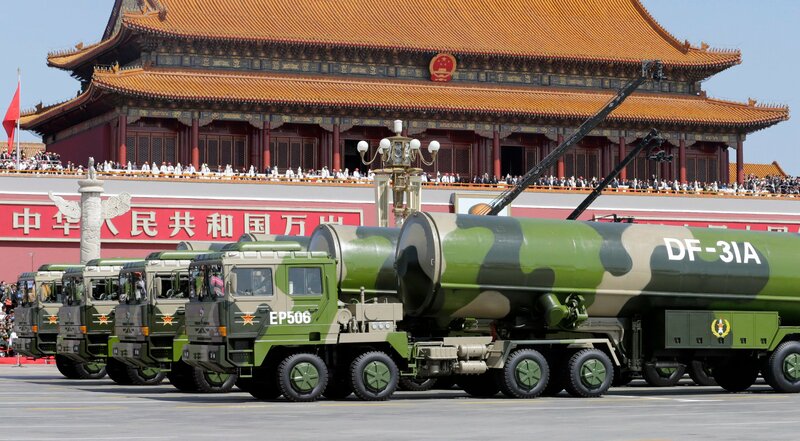 One option for China is a moderate increase in the number of its offensive missiles to compensate for the loss of its nuclear retaliatory capability, but Beijing has pledged not to pursue quantitative nuclear parity with United States for the purpose of hegemony. In the United States, security analysis follows a basic paradigm, which is to identify and assess the threat to U.S. national security. A national security threat is usually an outside enemy that could hurt the United States; the threat is measured by the capability and intention of the enemy. If an enemy has a strong capability and an intention to hurt United States, it is regarded as a significant threat. Advocates of a change in security policy usually need to establish that an outside enemy has the capability and intention to hurt the United States. In the U.S. security paradigm, national security threats are usually outside the United States. In the Chinese security paradigm, the origins and effects of national security challenges could be inside China. For example, the situation of technical lagging may be caused by quick development of a particular technology in foreign countries and slow progress in China. 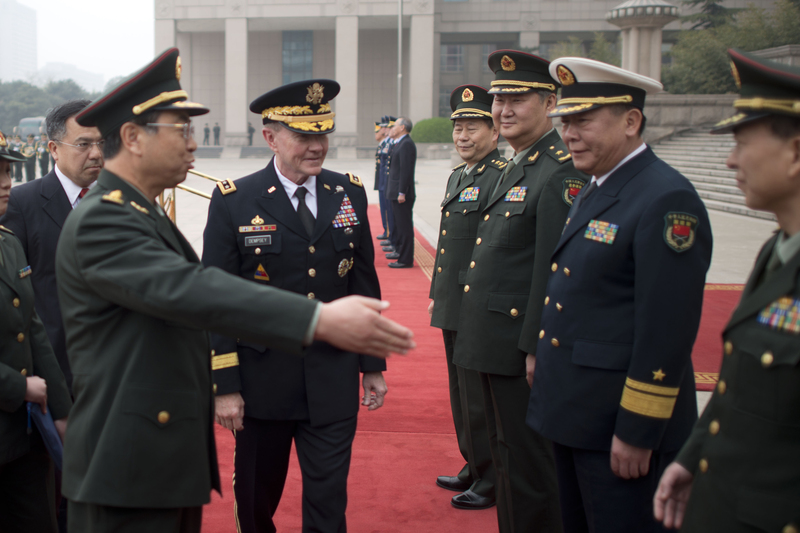 In the U.S. security paradigm, security threats are mostly military threats while in the Chinese security paradigm, security challenges include military and nonmilitary factors. Although some Chinese scholars and students have begun to use the U.S. security paradigm in academic research, the Chinese paradigm still dominates security policy research. 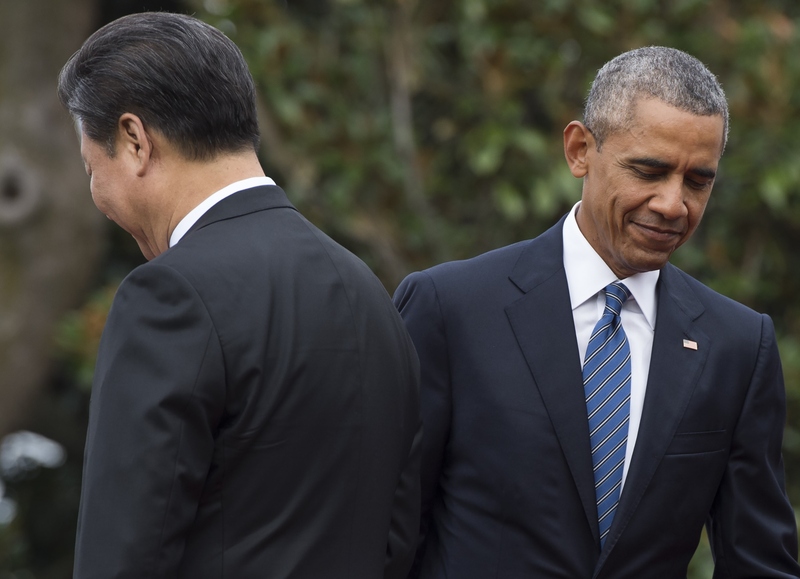 Some Chinese nuclear policies and views cannot be explained by the U.S. security paradigm. For example, Chinese security experts expressed their concerns over the U.S. project on an earth-penetrating nuclear warhead during the George W. Bush administration.10 The small project would have brought very little new capability to the United States, and its declared purpose was to attack deeply buried targets in proliferator countries. Under the U.S. security paradigm, the Chinese should not have been worried about the project. The Chinese security paradigm can well explain Beijing’s concern. A robust nuclear taboo against nuclear weapons use is favorable to China’s no-first-use policy and China’s security. Any development of this kind of tactical nuclear weapon would weaken the nuclear taboo and therefore increase the risk of nuclear weapons use. As mentioned above, technical lagging is a dangerous situation and is regarded by the Chinese as a national security challenge. Many Chinese strategic and nuclear projects aim merely to master new defense technologies but not necessarily deploy them. A typical example is the Chinese effort on the neutron bomb. The purpose of the effort was to understand the technology. China decided not to deploy the neutron bomb because it is contrary to China’s no-first-use policy. Another example is China’s response to U.S. national missile defense activities. The Chinese have two concerns in this area. The first concern is that the U.S. missile defenses may weaken China’s nuclear retaliatory capability. Because the concern can be well explained by the Chinese and U.S. security paradigms, it is easy for Chinese and U.S. security experts to have bilateral discussions on it. The second Chinese concern is that U.S. missile defense development may lead to great scientific and technical breakthroughs in the United States and that it would enlarge the technical gap between the United States and China. According to the Chinese security paradigm, possible technical lagging in China would be a security challenge and should be avoided. The 863 Program, launched in China in 1986, was to address the concern.11 Unfortunately, the second concern cannot be explained by the U.S. security paradigm and has been ignored by all U.S.-Chinese nuclear dialogues. In a broader area of national policymaking, the Chinese and U.S. ways of calculating national interests also are different. In the United States, it is very unusual to suggest that security interests should be sacrificed for economic interests. In China, economic and security interests are at the same level in the calculation of national interests, although some analyses may value one or the other highly. In Chinese debates on issues related to security and the economy, it is normal that security arguments yield to economic arguments. The economy-centered calculation on one hand encourages Chinese decision-makers to constrain China’s nuclear weapons development and, on the other hand, makes China cautious about nonproliferation sanctions, as illustrated by its attitude toward export controls in the 1980s and in the first half of the 1990s. The Chinese have some approaches in nuclear policy that are different from those of the United States. The most noticeable approach is to keep the roles of nuclear and conventional weapons separate. The Chinese do not believe that nuclear weapons are usable and can help China in conventional wars. China always wants to avoid the influence of nuclear weapons on conventional weapons issues. It has a bilateral no-first-use agreement with Russia and never tries to use the influence of its nuclear weapons in its relations with India. The Chinese feel it is unreasonable to claim that Beijing would become more aggressive at the conventional level if its nuclear retaliatory capability became more credible. The approach of keeping the roles of nuclear and conventional weapons separate also allows China to maintain a small nuclear arsenal because it does not need a large nuclear arsenal for damage limitation in a first nuclear strike or reassuring allies as the United States does. Many Chinese use the term “strategic stability” in a general way. They understand the term to refer to political trust and respect between countries. This is why the terms “strategic stability” and “strategic reassurance” are always associated with each other in U.S.-Chinese nuclear dialogues. In recent years, some Chinese experts, especially technical experts, have begun to use the Western definition of the term. Now the discussions between Chinese and U.S. security experts on the issue of strategic stability are sometimes on two different tracks. One track emphasizes the big picture of overall U.S.-Chinese relations while the other track pays attention to strategic force structures and related details. Some efforts are needed to make sure that the two tracks are not separated too widely. The Chinese have an indigenous idea of strategic stability although they might not use that term. In China, there is a widespread belief that technical lagging would invite attacks. The belief accurately expresses the Chinese calculation in this area: deployed and nondeployed technologies are important in maintaining strategic stability. In the U.S. calculation of strategic stability, only technologies that a country is deploying or planning to deploy are considered. The logic is that only deployed systems ready to be launched contribute to the cost-benefit calculations for launching an attack in a crisis. The Chinese idea is that other countries would consider it a window of opportunity to attack their country if it does not have some important military technologies. This is based on the painful experience that China first had when it was invaded by Western powers in 1839 during the First Opium War. If China has state-of-the-art military technologies available, it can move them into deployment when necessary. Chinese security experts always worry that U.S. military projects will lead to great scientific and technical breakthroughs in the United States, and U.S. security experts always worry that Chinese military projects will become deployed systems. These worries may cause overreactions by each country. Future U.S.-Chinese dialogues could consider including discussions on the Chinese indigenous approach to the calculation of strategic stability so that each country can better understand the intentions of the other. 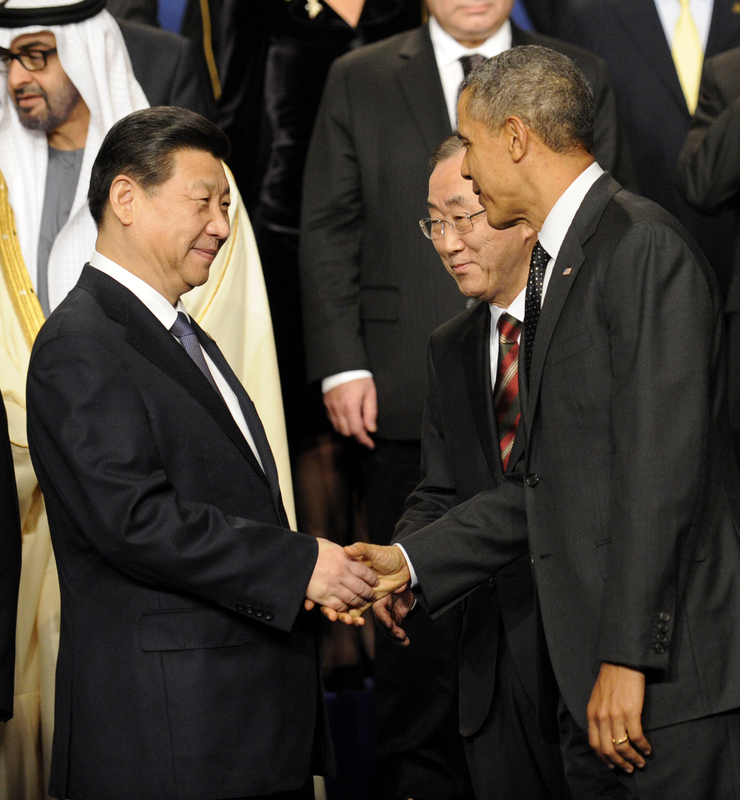 China has had its preferred approach in nuclear disarmament since it acquired nuclear weapons. The approach includes two elements: The ultimate goal of nuclear disarmament is the complete elimination of all nuclear weapons in the world, and the best way to reduce the role of nuclear weapons is by constraining the use of nuclear weapons. The nuclear-weapon states have had more in common with regard to the first element since President Barack Obama’s proposal for moving to a nuclear-weapon-free world, but they still differ on the route of nuclear disarmament. In recent years, China has been expending less of its diplomatic capital to press positions with which the other nuclear-weapon states do not agree and generally has become more realistic and cooperative on nuclear disarmament issues. For example, it took the lead in compiling the nuclear glossary and has joined discussions on the verification of deep nuclear reductions by the nuclear-weapon states. Some aspects of Chinese nuclear policy have undergone significant changes in recent years. The most obvious changes are in transparency and nonproliferation. In the area of nuclear transparency, the traditional Chinese views are that transparency with regard to intention is more important than transparency with regard to capability and that China’s small nuclear force needs to be protected by a higher level of secrecy. In recent years, China has begun to exhibit more nuclear transparency as Chinese society has become more and more open. Some nuclear information is presented in official documents or at public events, such as parades in which military systems are displayed. Some information is leaked to social media, a practice that the government now tolerates more than it has in the past. A system for regular publication of nuclear information has yet to be built in China. China’s views on and approaches to nuclear nonproliferation also have undergone major changes in recent years. Before the reform in China, the Chinese felt embarrassed to criticize nuclear weapon programs in proliferator countries such as India because they saw that it was discriminatory to criticize other countries when China had a nuclear weapons program. After China launched the policy of reform in 1978, the Chinese viewed national economic interests as a whole as more important than national security interests. That is a main reason why China was very reluctant to join international sanctions and export control efforts against proliferation. Over the past two decades, the Chinese have come to take a more balanced view on economic and security interests, and China has become more active in nuclear nonproliferation. China now considers nuclear proliferation and nuclear terrorism to be serious challenges to its national security and is willing to invest in the efforts against these challenges. The Chinese have their special understandings on some important nuclear terms and have a special paradigm in analyzing nuclear issues. In international dialogues on nuclear arms control, it is necessary to explain the logic and background of the Chinese nuclear thinking. Otherwise, communication among international nuclear experts would be difficult. International society should pay attention to the special Chinese understandings on nuclear weapons. Experts from other countries should make greater efforts to explore Chinese security paradigms, nuclear terminology, and approaches to nuclear policy. Future international nuclear dialogues involving Chinese experts could include special sessions to address the differences between Chinese and U.S. nuclear thinking. These efforts could help clear suspicions between Chinese and U.S. nuclear experts in the strategic nuclear arena and thus avoid overreactions by both countries. 1. For international efforts by governmental organizations on glossaries, see P5 Working Group on the Glossary of Key Nuclear Terms, “P5 Glossary of Key Nuclear Terms,” China Atomic Energy Press, 2015. For international efforts by nongovernmental organizations, see Committee on the U.S.-Chinese Glossary of Nuclear Security Terms, English-Chinese, Chinese-English, Nuclear Security Glossary (Washington, DC: National Academies Press, 2008). 2. The products of the project will be a book in Chinese and a book in English. 3. Information Office of the State Council of the People’s Republic of China, “The Diversified Employment of China’s Armed Forces,” April 16, 2013, http://www.china.org.cn/government/whitepaper/node_7181425.htm. 4. 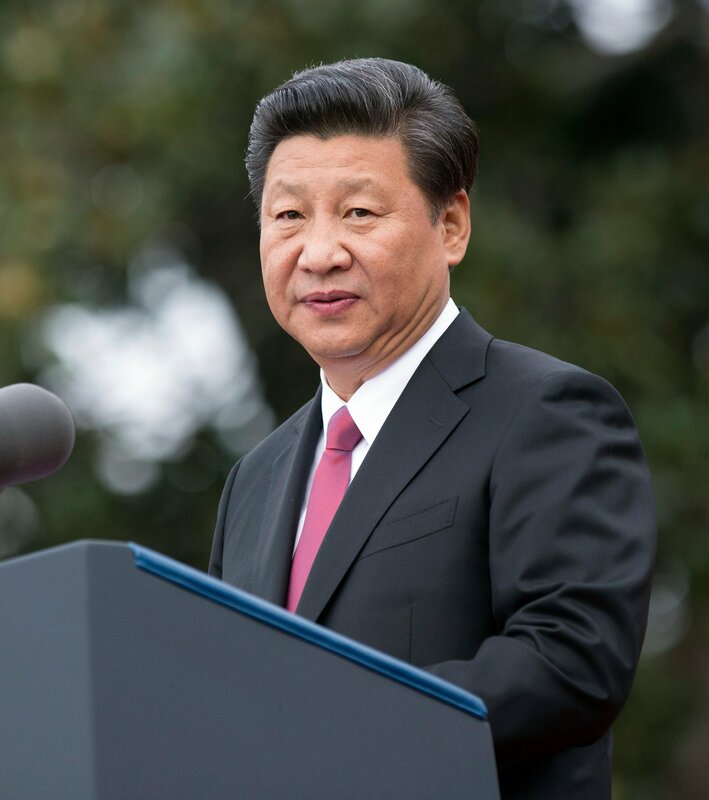 Xinhua, “Xi Jinping: Adhere to the Comprehensive National Security Theory and Go Toward the Direction of National Security With Chinese Characteristics,” April 15, 2014, http://news.xinhuanet.com/politics/2014-04/15/c_1110253910.htm (in Chinese). 5. For more on this issue, see Li Bin, “The Difference in the Chinese and American Understandings About ‘Nuclear Deterrence,’” World Economics and Politics, No. 2 (2014), pp. 1-18 (in Chinese with English abstract). 6. Thomas C. Schelling, Arms and Influence (New Haven: Yale University Press, 2008), pp. 70-71. 7. Information Office of the State Council of the People’s Republic of China, “China: Arms Control and Disarmament,” November 1995, http://news.xinhuanet.com/zhengfu/2002-11/18/content_633187.htm. 8. For more details on Chinese security paradigms, see Li Bin, “China and Global Nuclear Arms Control and Disarmament,” in The War That Must Never Be Fought: Dilemmas of Nuclear Deterrence, ed. George P. Shultz and James E. Goodby (Stanford, CA: Hoover Institution Press, 2015). China, “China’s National Defense in 2008,” January 2009, http://carnegieendowment.org/files/2008DefenseWhitePaper_Jan2009.pdf. 10. Hu Siyuan, “Nuclear Shadow Moving Around: U.S. Research on Nuclear Penetration Warhead,” March 25, 2004, http://www.china.com.cn/xxsb/txt/2004-04/15/content_5545602.htm (in Chinese). 11. Office of Project 863, “Introduction to Project 863,” n.d., http://www.863.gov.cn/1/1/index.htm (in Chinese). Li Bin is a senior associate with the Carnegie Endowment for International Peace and professor of international relations at Tsinghua University in Beijing. The administration submitted the proposed 123 agreement with China on April 21. While most of the recent conversation about nuclear nonproliferation in Congress has focused on the negotiations in Vienna on a verifiable, long-term comprehensive nuclear deal to block Iran's pathways to nuclear weapons, lawmakers are also considering another lower-profile, but nonetheless consequential, civilian nuclear cooperation agreement with China. This "123 agreement," named after Section 123 of the 1954 Atomic Energy Act, sets the terms for sharing U.S. peaceful nuclear energy technology, equipment, and materials with China. 123 agreements ensure that U.S. civil nuclear cooperation with other countries conforms to U.S. export control laws, meets Nuclear Regulatory Commission licensing requirements, meets the guidelines of the Nuclear Suppliers Group, and is used exclusively for peaceful purposes and not the development of nuclear weapons. The administration submitted the proposed 123 agreement with China on April 21. U.S. law provides Congress the opportunity to review a nuclear cooperation agreement for 90 days of continuous session. If Congress does not pass a resolution disapproving the agreement before the end of this period, the agreement may enter into force. While the administration argues the China agreement will advance the nonproliferation and other foreign policy interests of the United States, Congress should closely scrutinize the deal to ensure that it contains appropriate nonproliferation safeguards. Most importantly, as Congress reviews the agreement and prepares to consider a new agreement with South Korea--and potentially other agreements in the near future--Congress should consider strengthening the nonproliferation standards and procedures for congressional review of 123 agreements mandated by the 1954 Atomic Energy Act, which have not been revisited since 1978. Since the beginning of the nuclear age, efforts to exploit nuclear technology for energy and for profit have complicated the task of reducing the nuclear weapons threat. The United States has appropriately sought to deny the transfer of sensitive nuclear technologies--particularly enrichment and reprocessing technologies--to states that do not already possess the technology through the terms of our nuclear cooperation agreements. After the Indian test explosion in 1974, Congress amended the Atomic Energy Act in 1978 to mandate tougher bulwarks against the diversion of U.S. nuclear assistance for military uses. The amendment put in place nine new provisions, including the requirement that recipients of U.S. civil nuclear cooperation have in place a full scope of safeguards. The Atomic Energy Act has not been updated since. Some members of Congress have argued that the Obama administration's policy on nuclear cooperation agreements is "inconsistent" because it does not require that all states foreswear enrichment and reprocessing, which some have dubbed the "Gold Standard." The so-called "Gold Standard" was enshrined in the recent 123 agreements with the United Arab Emirates and Taiwan, and is a useful addition to the global nonproliferation regime, complementing other U.S. efforts to prevent the spread of enrichment and reprocessing technology. The United States should seek the inclusion of a legally-binding no-enrichment and reprocessing commitment in new agreements and agreements up for renewal with countries that do not already have these capabilities. However, securing such a commitment will not be possible in all cases, in part because sovereign states are extremely reluctant to forego future technology and commercial options. Yet, Congress could consider adjusting the review procedures for 123 agreements that do not include commitments to forego enrichment and reprocessing (or other key standard such as adherence to the tougher International Atomic Energy Agency (IAEA) safeguards under the terms of the additional protocol) so they are subject to an affirmative vote of approval. The current 30-year U.S. nuclear cooperation agreement with China entered into force in 1985, but implementation did not begin until 1998 because of certification requirements established by Congress. The new agreement would be another 30-year deal and replace the existing agreement that is set to expire at the end of this year. Overall, China's nonproliferation record has improved significantly since the 1980s and 1990s. For example, China has joined the nuclear Nonproliferation Treaty (NPT) and the Nuclear Suppliers Group. It has put its civilian reactors under safeguards and increased cooperation with the United States on nuclear material security. In addition, Beijing has curtailed the transfer of technologies and information that have assisted Pakistan's nuclear weapons program and Iran's nuclear program. The Nonproliferation Assessment Statement (NPAS) prepared by the U.S. State Department about the 123 agreement, raises concerns about the potential Chinese misuse of civil nuclear technology for military purposes, proliferation of dual-use materials and technologies involving Chinese entities, and China's provision to Pakistan of additional nuclear reactors, which is inconsistent with the Chinese commitments made when it joined the Nuclear Suppliers Group in 2004. In addition, some have objected to a provision in the agreement granting each party "advance consent" to reprocess U.S.-obligated nuclear material. This kind of permission, which is not bestowed in the current agreement, has been included in 123 agreements with India and the European Atomic Energy Community (Euratom). China is planning to build commercial reprocessing facilities to reprocess much of its spent fuel domestically. However, President Barack Obama noted in a March 26, 2012 speech in South Korea that the world "simply can't go on accumulating huge amounts of the very material, like separated plutonium, that we're trying to keep away from terrorists." It's not clear how providing China with advance consent to reprocessing will reduce global stocks of separated plutonium. If Congress is concerned about the nonproliferation risks of nuclear cooperation with China, there are steps it can take to ensure effective oversight of cooperation. For example, lawmakers could require regular reports from the administration about China's adherence to the deal and whether it is making progress on strengthening export controls and cracking down on entities engaged in proliferating dual-use goods and technologies. In addition, the agreement notes that the parties "shall take account into account the need to avoid contributing to the risks of nuclear proliferation...and the importance of balancing supply and demand, including demand for reasonable working stocks for civil nuclear operations." If Congress is concerned about the possibility of Chinese reprocessing, it could ask for a report on how these criteria are being met, if China carries out reprocessing that falls under the agreement. If Congress wants a greater degree of consistency and higher nonproliferation standards in 123 agreements, it can legislate higher standards that should be sought and if those standards are not all achieved, Congress could revise the process by which such agreements should be considered for approval or disapproval by the Congress. Such an effort would reinforce the revised voluntary guidelines approved in 2011 by the 46-nation Nuclear Suppliers Group not to transfer enrichment and reprocessing equipment and technology exports to states that have not signed or are not in compliance with the nuclear NPT, do not allow safeguards, and do not allow more extensive monitoring under the terms of an additional protocol, among other criteria. Two bipartisan bills introduced in the House in 2011 and 2013 (H.R. 1280 and H.R. 3766) offer a useful framework to consider and build on. The bills would not have required that states adopt the gold standard. Instead, the bills would add several new requirements to the nine key requirements already in Section 123 of the Atomic Energy Act that, if met, would "fast track" that country's nuclear cooperation agreement for approval. Agreements with states that cannot meet the higher set of standards would be subject to a more rigorous process requiring affirmative congressional approval. revising Section 131 of the Atomic Energy Act to lengthen the current 15-day congressional review period for subsequent arrangements to 123 agreements involving the reprocessing of U.S.-origin nuclear material or nuclear material produced with U.S. supplied technology (subsequent arrangements are required for forms of nuclear cooperation requiring additional Congressional approval, such as recipient states' enrichment or reprocessing of nuclear material transferred pursuant to the agreement). The Obama administration sent Congress a new nuclear cooperation agreement with China and initialed a new pact with South Korea. President Barack Obama signed and transmitted to Congress a new nuclear cooperation agreement with China on April 21, and a day later, U.S. and South Korean officials held a ceremony to initial a new cooperation pact. The proposed 30-year agreement with China would permit the transfer of equipment, including reactors, and material, components, information, and technology for nuclear research and nuclear power production. Notably, the agreement would grant each party “advance consent,” as specialists call it, to reprocess nuclear material transferred under the agreement and used in or produced through the use of transferred material or equipment. This provision, which would allow China to reprocess such material without obtaining U.S. consent in each case, would be a “major change from the old agreement” with China, said Mark Hibbs of the Carnegie Endowment for International Peace in a commentary posted on the website of The Hill. The new agreement would replace an existing agreement signed in 1985 and set to expire at the end of this year. U.S. law provides Congress with the opportunity to review a nuclear cooperation agreement for two time periods totaling 90 days of so-called continuous session. After submitting the agreement, the administration is to consult with the House Foreign Affairs Committee and Senate Foreign Relations Committee for at least 30 days. After that, a second 60-day review period begins. If Congress does not pass a resolution disapproving the agreement before the end of this 60-day period, the agreement may enter into force. In an April 23 e-mail, a congressional source said he expected the 90-day period to run out before Congress breaks for a long recess in August. 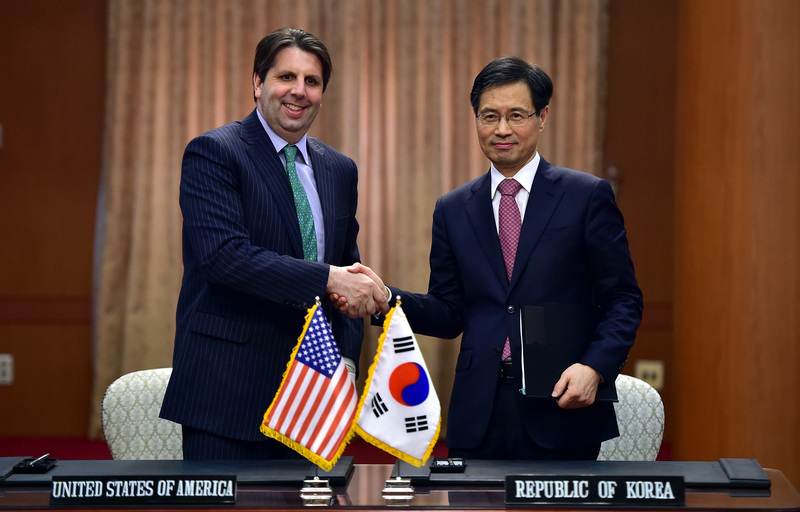 Meanwhile, on April 22 in Seoul, Mark Lippert, the U.S. ambassador to South Korea, and Park Ro-byug, South Korea’s ambassador for nuclear energy cooperation, initialed a new cooperation agreement that would replace a 1974 pact between the two countries. Some observers have said Obama and South Korean President Park Geun-hye could sign the agreement when Park visits the United States later this year. Although the text of the new agreement has not been publicly released, news reports and a summary issued by the Korean embassy in Washington indicate that the United States did not provide South Korea with advance consent to enrich or reprocess U.S.-origin nuclear materials. Instead, the agreement, which took more than four years to negotiate, creates a high-level commission that would regularly review implementation of the pact and provide a venue for the two sides to discuss future options, including indigenous South Korean enrichment and reprocessing. The new agreement would last for 20 years, half the length of the original pact. Although China has made significant progress in nuclear security since the September 11 attacks, there is room for improvement. China is a nuclear-weapon state and rising power entering an era of particularly rapid nuclear energy growth and fuel-cycle development. China’s approach to strengthening the security of its nuclear weapons, materials, and facilities is important because of the quantity of materials involved and the role that China plays in facilitating strong global action on nuclear security. China’s commitment to nuclear security is now well established. Since the September 11 attacks, China has made significant progress on its nuclear security system, with a focus on switching from the traditional “guns, gates, guards” approach to an effective mix of well-trained personnel with up-to-date techniques and technology. The major areas of progress include a security approach based on a design basis threat (DBT); an application of modern concepts of physical protection, based on systems-engineering approaches to analyzing vulnerabilities and designing defenses to address them; the use of modern physical protection, material control, and material accounting technologies; and requirements for in-depth vulnerability assessments of security systems. In spite of these advances, there still is room for improvement. China does not have a unified national standard of protection against plausible nuclear security threats and still is bringing the security of its facilities into line with international norms and recommendations. Converting its top leaders’ political commitments from the nuclear security summits into practical, sustainable reality will require China to assess several aspects of its nuclear sector’s vulnerabilities, including regulatory arrangements, physical infrastructure, and security culture. Beijing should take further steps to install a complete, reliable, and effective security system to ensure that its nuclear weapons, weapons-usable nuclear materials, nuclear facilities, and nuclear transports are effectively protected against the full spectrum of plausible terrorist and criminal threats. Before the September 11 attacks, China’s nuclear facilities were designed mainly to withstand natural disasters and accidents. Since those attacks, China has adopted the concept of protecting nuclear facilities against a DBT that might involve both outsider and insider adversaries. In 2008 the Chinese National Nuclear Safety Administration (CNNSA) issued its Nuclear Facility Physical Protection Guidelines, which are treated in practice as mandatory. These guidelines call on all civilian nuclear facili­ties to apply a security approach based on a DBT. Each operator should develop a site-specific DBT, which is then approved by regulators before it is used in the design of a physical protection system. The guidelines recommend that, in developing a site-specific DBT, operators conduct an evaluation of threats that their nuclear facilities could face. Major elements of the evaluation should include the attributes and characteristics of potential criminals, their motivations and intentions, the scale of their activity and capabilities, and the possible means and tactics they could adopt. Potential adversaries could include outsiders, insiders, or outsiders and insiders working together. Although the 2008 guidelines require a DBT, they contain no clearly defined standards for how each nuclear facility should design one for its local conditions. Operators typically design their site-specific DBTs on a case-by-case basis, taking into account a number of factors, including the socioeconomic situation in the area surrounding the facility. Based on the general requirements for DBTs in the guidelines, the operators of a nuclear facility study, discuss, and evaluate their proposed DBTs in relation to current threat levels with the China Atomic Energy Authority (CAEA), the CNNSA, the Ministry of Public Security (MPS), the local security department, and other relevant organizations. Eventually, the DBT is submitted to the CAEA for approval. The details of the DBT are kept secret from the public. Chinese experts have analyzed possible sabotage scenarios against China’s nuclear facilities, including scenarios involving nuclear power plants. The experts con­cluded that China’s nuclear power plants would not be able to withstand the impact from commercial airplanes and heavy weapons, including missiles. Moreover, they said, collusion between insiders and outsid­ers would pose a great threat to nuclear facilities. Yet, the 2008 guidelines have not addressed these concerns. As CNNSA Director Li Ganjie noted, the existing DBT for nuclear power plants could have produced designs that are unable to resist attacks from large-scale and well-organized terrorist groups with powerful weapons. To address these shortcomings, China needs to update and clarify its DBT requirements for all military and civilian nuclear facilities. China should establish a national-level DBT, as exists in the United States and many other coun­tries. Individual facilities are poorly equipped to understand the full spectrum of threats that national authorities and intelligence agencies may have identified, and substantial variation among facilities could leave dangerous weak points that adversaries could exploit. Modest adjustments to the national DBT could be made, with the approval of regulators, to reflect the particular circumstances at individual sites. China also should review and upgrade the criteria used for designing physi­cal protection for its nuclear facilities. Operators should develop and implement security plans that provide effective protection against a threat that includes the full spectrum of plausible adversaries and tactics. That spectrum would include not only brute-force attacks, but also deception and stealth from insiders and outsiders working together. Some nuclear experts in China may argue that it is not necessary to have national DBT standards because of the different situations at various nuclear sites. Indeed, it is difficult to determine which threats are the ones against which facilities need to be protected and how much money to spend in doing that. Nevertheless, China should invest in measures to protect against actions that terrorists and criminals have routinely carried out in attacks and thefts elsewhere around the world. Such actions include use of multiple teams, with one team acting as a diversion or preventing response forces from arriving along the road; use of armor-piercing rocket-propelled grenades, which are devastating against guard shacks and guard fighting positions unless the structures are designed with these weapons in mind; use of explosives to destroy walls and security doors; deception attacks, in which the adversaries have official-looking uniforms and documents; use of insiders for purposes such as obtaining information on the security system; and use of unusual vehicles such as helicopters. China should have at least a minimum DBT standard that includes protection against one modest group of well-armed and well-trained outsiders, a well-placed insider, and outsiders and an insider working together, using a broad range of possible tactics. Finally, as INFCIRC/225/Revision 5—the most recent version of this document from the International Atomic Energy Agency (IAEA)—recommends, China should use realistic “force-on-force” exercises to test its nuclear security systems’ ability to detect and defeat intelligent adversaries using asymmetric attacks. Operators currently are required to do in-depth vulnerability assessments and performance tests of individual components of their security systems, but these do not include the realistic force-on-force exercises. No Chinese regulations require such tests, which are vital for identifying the strengths and weaknesses of security procedures. The newly established National Nuclear Security Technology Center under the CAEA, responsible for the con­struction, management, and operation of China’s Center of Excellence on Nuclear Secu­rity, will conduct such exercises. These exercises, however, will mainly serve to train guard forces and will not probe how well security performs at operating facilities. Tabletop computer simulations and vulnerability assessments alone can reveal only those vulnerabilities imagined by the assessors; in the U.S. experience, force-on-force exercises often reveal problems that were not obvious from these other means. One key factor within the U.S. Department of Energy and Nuclear Regulatory Commission in improving the security systems of nuclear facilities has been requiring the correction of vulnerabilities revealed during the realistic tests. China may lack the experience and capabilities to carry out such tests at sites while simultane­ously maintaining safe and secure operation of the nuclear facilities. Nevertheless, the U.S. experi­ence of such tests demonstrates that this can be done, and the United States could share some of that experience with China. All of the real cases of theft of highly enriched uranium (HEU) or plutonium documented by the IAEA were perpetrated by insiders or with insider cooperation. A number of known cases of sabotage at nuclear facilities (none intended to spread radiation) were perpetrated by insiders as well. Thus, it is essential to maintain a strong program to protect against the insider threat, perhaps more so as China continues to transform into a market-oriented society and becomes increasingly corrupt. Many experts believe that the more severe the corruption in a country is, the higher the potential for insider theft of materials and the greater the need for rigorous nuclear materials security measures. The risk of an insider threat is perhaps the most difficult risk to address because insiders are those authorized to access areas containing nuclear materials. The documented history of thefts of valuable items from guarded facilities indicates that the involvement of insiders, including guards, is widespread in facilities around the world. The HEU and separated plutonium in China’s civilian nuclear sector, in particular, could be especially vulnerable to insiders. For example, China’s civilian pilot reprocessing plant at the Jiuquan nuclear complex in Gansu province was not designed for maximum security when construction began in 1995. It shares some facilities with a previous military reprocessing plant that was not designed with an up-to-date material protection, control, and accounting system. Furthermore, the amount of material unaccounted for (MUF) at the plant is higher than is considered acceptable. Fresh and spent HEU fuel also are present at research reactors, which are located at institutes. Because of funding shortages, these institutes are not as well controlled and guarded as military sites. In addition, some of the older institutes rely on outdated security and control systems. Indeed, some Chinese experts argue against stricter standards on the grounds that they will cost more. Bulk processing facilities in particular—plants that conduct fuel fabrication, spent fuel reprocessing, and uranium enrichment—tend to have limited financial resources, often causing operators to give security a low priority. Beijing reportedly has put in place personnel reliability programs at all its nuclear facilities, but the parameters of these programs are secret. China should make available general information about these programs as a deterrent to terrorists and a source of reassurance to other governments that China takes nuclear security seriously. Operators of nuclear facilities should be required to take steps to decrease vulnerability to insiders who have an intent to do harm. In particular, in cooperation with relevant government departments, every operator should have an effec­tive program for personnel reliability screening to strengthen access control. For example, security and other personnel with access to vital areas should be subject to periodic drug testing, background checks, and psychological or mental fitness tests, and they should be vetted at specified and random intervals. In the United States, the “root causes” of insider issues are often found to include mental and emotional stresses and financial problems; investigations in China should cover these issues and others specific to China’s culture and situation. The license condi­tions for facility operators should specify that facility staff should report suspicious behavior by their colleagues to a clearly designated authority. Although personnel reliability programs are important, managers should not assume that they can eliminate the insider threat by themselves. They may miss some insider adversaries, and even trustworthy insiders could be blackmailed or coerced. Regulations should require a range of other measures to protect against insider theft and sabotage. In par­ticular, the regulations should mandate constant surveillance of inner areas and vital areas when they are occupied, using a two-person surveillance system, a technological surveillance system including devices such as closed-circuit television, or preferably both. Under these guidelines, a plant’s MC&A system should include clear definitions for material balance areas and key measurement points, control of measurement quality, physical inventory of materials, a MUF measurement, and a recording and reporting system. The licensee should establish physical inventory procedures for nuclear materials and conduct a complete inventory at least once a year. An inventory of plutonium-239, uranium-233, HEU, and other sensitive materials should be completed at least twice a year. The licensee is required to ensure that its records of nuclear material accounting are clear, accurate, systematic, and complete. Records should be maintained for at least five years. If MUF of more than twice the standard deviation for the measurement is detected, the CAEA should initiate an investigation into the discrepancy. The most significant challenge to China’s efforts to establish an effective nationwide MC&A system is posed by its bulk processing facilities. Because MC&A for fresh and spent fuel at a nuclear power plant is relatively straightforward for identifiable items such as fuel rods, the MUF at these plants is expected to be exactly zero. Moreover, because fresh fuel is made with low-enriched uranium, it does not pose significant security concerns. Thus, accounting for the nuclear materials in a country’s reactors is relatively easy. Accurate material accounting in bulk processing facilities is much more difficult. The operations of China’s pilot reprocessing plant demonstrate the challenge. In December 2010, China conducted a hot test of its pilot reprocessing facility, which has a capacity of 50 metric tons of heavy metal per year (MTHM/year). Although repro­cessing operations stopped after only 10 days, beginning in December 2010, many problems, including a very high measure of MUF, were identified. China currently has stated plans to build larger reprocessing plants with capacities of 200 MTHM/year and 800 MTHM/year. It would be even more difficult to establish an effective MC&A system at these facilities than at the much smaller pilot facility. Even with an advanced, modern MC&A system, measurement uncertainties at a reprocessing plant are typically in the range of 1 percent of plutonium throughout, amounting to 20 kilograms of plutonium per year at a facility with a throughput of 200 MTHM/year. (Two hundred metric tons of spent fuel contain about two metric tons of plutonium.) Thus, the construction of the planned reprocessing facilities will require a substantial investment in improved MC&A measures. Given the inevitable uncertainties in accounting, it is likely that China will ultimately have to rely primarily on other measures to prevent insider theft. The govern­ment should make sure the operators have an accounting system that is able to detect the removal of material, localize the removal in time and space, and identify the insiders who had access to the material. Since the mid-1980s, China has issued a number of regulations, rules, and technical guidelines regarding the security of nuclear and radioactive materials and nuclear facilities. Currently, the only major regulations on fissile material controls are found in the “Regulations for Control of Nuclear Materials,” issued in 1987. Based on these regulations, China issued “Rules for Implementation of the Regulations on Nuclear Materials Control” in 1990, which are also the only existing rules on the subject. China should update its 1987 regulations and 1990 rules by issuing rules and regulations that are clearer and more stringent, based on at least the minimum DBT standard described above. Although Beijing has pledged to adopt almost all of the existing international legal frameworks to prevent nuclear terrorism, China needs to effectively incorporate these frameworks into its domestic regulations and rules to strengthen its nuclear security on the ground. Implementing and enforcing new regulations and rules are more difficult than establishing them. To ensure effective implementation, the government and operators should take several steps. For example, regulatory agencies should be adequately staffed with personnel possessing appropriate expertise. The government should have a regime of clear rewards and strict penalties to ensure compliance with its regulations and with international norms. The enforcement regime should include a review of records of the security performance of the companies being evaluated for contracts involving work with nuclear weapons or materi­als. In addition, China should have the ability to deploy and coordinate effective responses to threats to nuclear facilities or nuclear materials in transit. Finally, regulators should review implementa­tion practices to confirm that operators can protect against the DBT for a given nuclear facility. Just as with nuclear safety, the focus should be on constantly working to find and fix remaining vulnerabilities and establish more-effective approaches. To make sure that nuclear security systems are actually implemented effectively, the development of a strong security culture, in which the relevant individuals hold a deeply rooted belief that insider and outsider threats are credible, is imperative. Unfortunately, many Chinese experts continue to doubt that there is a credible threat to Chinese nuclear materials and facilities. Some endorse China’s current commitments to upgrading nuclear security only because they see it as necessary to comply with international requirements. They do not actually see the threat as serious. They argue that nuclear terrorism may be a problem for the United States but that it is not an urgent concern for China. They believe that the probability of terrorists gaining access to fissile material inside China and using it to make a crude nuclear bomb is very low. The experts argue that the technologies necessary to manufacture, deliver, and detonate such a weapon would be too difficult to obtain. These experts see the risk of sabotage at a nuclear power plant, which could result in a major release of radioactive material, as plausible but very low. They maintain that groups hostile to the government lack the means to conduct such attacks and that, in any case, China’s current security system should be good enough to stop any attempts. These experts may well be underestimating the threat. As the number of nuclear power plants in China expands rapidly, the risk of sabotage at a civilian facility grows more plausible. China’s nuclear experts give more credence to the possibility that terrorists could acquire other radioactive material inside the country and use it to make a “dirty bomb.” They recognize the risks inherent in China’s possession of thousands of radioactive sources, distributed over a wide region, as well as many orphan sources outside any regulatory control. Although the likelihood that terrorists might set off a dirty bomb is higher than the likelihood that they would detonate a nuclear bomb, the consequences of the latter would be vastly greater. As noted earlier, the possibility of insider theft of nuclear materials cannot be ruled out. Moreover, terrorist attacks by Chinese separatist groups, foreign organizations, or some combination may also one day pose a real threat to China’s nuclear facilities. The East Turkestan movement, which seeks an independent state in the Chinese autonomous region of Xinjiang, has long received training, financial assistance, and support from international terrorist groups, including al Qaeda. Drawn from China’s predominantly Muslim Uighur community, the East Turkestan extremists claimed responsibility for more than 200 acts of terrorism between 1990 and 2001, and some subgroups have been involved in the ongoing war in Syria. Over the last several years, members of the East Turkestan movement have carried out more than a dozen attacks, many on government buildings and police stations. These attacks, most of which involved explosives and grenades, resulted in numerous deaths. Furthermore, China’s neighbors in Central Asia and Pakistan have served as safe havens for members of the movement. These countries also are home to a high level of international terrorist activity and are centers of nuclear smuggling and proliferation activities. It is possible that East Turkestan extremists could acquire fissile material or nuclear weapons from their bases in these areas, which they could also use to plan and launch attacks. China also faces the challenge of complacency among a significant number of senior nuclear experts and within its nuclear industry. These experts believe that China already has strict nuclear security systems that have worked well and have been free of accidents over the past 50 years. Some managers and employees at Chinese nuclear plants do not recognize the importance of advanced and stringent material protection, control, and accounting systems. In some cases, the guards turned off detectors at portals for enrichment facilities to reduce their usage to avoid the need for frequent replacement. Moreover, growth of the nuclear industry has created a serious shortage of adequately trained guards, security personnel, and other necessary staff. As more employees are hired from non-nuclear fields, the nuclear safety and security culture will be further diluted. In plants where operations have been switched from military to civilian purposes, the operators may still be used to keeping everything secret and will not willingly share problems with outsiders, including inspectors. Each operator should establish a targeted program to assess and improve its facility’s security culture. In addition, China should conduct regular training programs at its nuclear facilities not only to improve the guards’ and security personnel’s professional skills, but also to inform them about the threats of nuclear and radiological terrorism and to impress on them that nuclear security is important and should be taken seriously. Force-on-force exercises help strengthen security culture for guards and other employees who witness the seriousness with which security risks are addressed and see plausible ways the security system might be over­come. Each staff member should not only scrupulously abide by the existing nuclear security regime, but also actively and continuously find ways to improve it. Effective security comes not only from advanced devices, but, even more importantly, from human choices. Finally, China should continue and further strengthen its cooperation with external organizations, in particular the U.S. Energy Department and the IAEA. Hui Zhang is a senior research associate at the Project on Managing the Atom at the Belfer Center for Science and International Affairs at Harvard University’s John F. Kennedy School of Government, where he leads a research initiative on China’s nuclear policies. Research for this article was supported by a grant from the Carnegie Corporation of New York. 1. Hu Jintao, “Towards Greater Nuclear Security Through Cooperation: Statement at the Seoul Nuclear Security Summit” (March 27, 2012), http://www.fmprc.gov.cn/mfa_eng/topics_665678/hjtatnsnss_665720/t920822.shtml. 2. Xi Jinping, Statement at the Nuclear Security Summit, The Hague, March 24, 2014, http://www.fmprc.gov.cn/mfa_eng/wjdt_665385/zyjh_665391/t1140583.shtml. 3. For more details, see Hui Zhang and Tuosheng Zhang, “Securing China’s Nuclear Future,” Belfer Center for Science and International Affairs, Harvard University, March 2014, http://belfercenter.ksg.harvard.edu/files/securingchinasnuclearfutureenglish.pdf. 5. The design basis threat, as defined by the International Atomic Energy Agency (IAEA), encompasses the attributes and characteristics of potential insider or external adversaries or both who might attempt unauthorized removal or sabotage, against which a physical protection system is designed and evaluated. See IAEA, “Nuclear Security Recommendations on Physical Protection of Nuclear Material and Nuclear Facilities (INFCIRC/225/Revision 5),” IAEA Nuclear Security Series, No. 13 (January 2011), http://www-pub.iaea.org/MTCD/publications/PDF/Pub1481_web.pdf (hereinafter INFCIRC/225/Revision 5). 6. Chinese National Nuclear Safety Administration (CNNA), “Nuclear Facility Physical Protection Guidelines,” 2008. (in Chinese). 7. Chinese nuclear security experts, interviews with author, Beijing, October 2011 and November 2012. 8. Pan Ziqiang et al., eds., Management of Nuclear and Radiological Terrorism Incidents [in Chinese] (Beijing: Science Press, 2005). 9. Li Ganjie, “Nuclear Security: The New Challenges for Security of Nuclear Power Plants” [in Chinese] (presentation at IAEA meeting, 2008), http://www-pub.iaea.org/mtcd/meetings/PDFplus/2008/cn168/Presentations/Session3_Li.pdf. 10. Matthew Bunn and Evgeniy Maslin, “All Stocks of Weapons-Usable Nuclear Materials Worldwide Must Be Protected Against Global Terrorist Threats,” Journal of Nuclear Materials Management, Vol. 39, No. 2 (Winter 2011). 13. Chinese nuclear security experts, interviews with author, Beijing, January 2013 and July 2014. 14. Oleg Bukharin, “Physical Protection Performance Testing: Assessing U.S. NRC Experience,” Journal of Nuclear Materials Management, Vol. 28, No. 4 (Summer 2000): 21-27. 15. Chinese nuclear security experts, interviews with author, Beijing, October 2011 and January 2013. 16. Lonnie Moore, “Dealing With the Insider Threat” (presentation at workshop on the safety and security of China’s nuclear facilities, Shenzhen, January 15-18, 2013). See also IAEA, “Preventive and Protective Measures Against Insider Threats,” IAEA Nuclear Security Series, No. 8 (September 2008), http://www-pub.iaea.org/MTCD/publications/PDF/pub1359_web.pdf; World Institute for Nuclear Security, “Managing Internal Threats,” 2010; Matthew Bunn and Kathryn M. Glynn, “Preventing Insider Theft: Lessons From the Casino and Pharmaceutical Industries,” Journal of Nuclear Materials Management, Vol. 41, No. 3, (Spring 2013): 4-16. 17. For a suggestion of the linkage between corruption and nuclear security, see Nuclear Threat Initiative, “NTI Nuclear Materials Security Index: Building a Framework for Assurance, Accountability, and Action,” 2nd ed., January 2012, http://ntiindex.org/wp-content/uploads/2014/01/2014-NTI-Index-Report.pdf. 18. For example, see IAEA, “Preventive and Protective Measures Against Insider Threats”; Bunn and Glynn, “Preventing Insider Theft,” pp. 4-16. 19. If material unaccounted for (MUF) of more than twice the standard deviation for the measurement is detected, an investigation into the discrepancy must be initiated. In China’s pilot reprocessing facility, the MUF is higher than that level. Chinese nuclear experts, interviews with author, Beijing, spring 2013. 20. Pan et al., Management of Nuclear and Radiological Terrorism Incidents. 21. CNNSA, Chinese Ministry of Energy, and the Commission for Science, Technology, and Industry for National Defense, “Rules for Implementation of the Regulations on Nuclear Materials Control in the People’s Republic of China” [in Chinese], September 25, 1990, http://www.caea.gov.cn/n16/n1130/77224.html. 22. CNNSA, “The Standard Format and Content of Nuclear Facilities Safety Analysis Report on MC&A,” 2008. 23. Chinese nuclear experts, interviews with author, Beijing, spring 2013. 24. Hui Zhang, “Options for China’s Nuclear Spent Fuel Management” (presentation, Workshop on Strategic Nuclear Issues in East Asia, Beijing, March 6, 2014), http://belfercenter.ksg.harvard.edu/files/optionsforchinas-nuclearspentfuelmasmanagement.pdf. 25. Hui Zhang, “Chinese Reprocessing and Nuclear Security Issues” (Presentation, Institute of Nuclear Materials Management 55th Annual Meeting, Atlanta, July 24, 2014), http://belfercenter.ksg.harvard.edu/files/ChinaReprocessing-INMM2014_hzhang.pdf. 26. State Council of the People’s Republic of China, “Regulations for Control of Nuclear Materials of the People’s Republic of China” [in Chinese], June 1, 1987, http://www.caea.gov.cn/n16/n1130/77219.html. 27. Chinese nuclear security experts, interviews with author, Beijing, March 2014. 28. IAEA, “Nuclear Security Culture,” IAEA Nuclear Security Series, No. 7 (September 2008), http://www-pub.iaea.org/MTCD/publications/PDF/Pub1347_web.pdf. 29. Chinese nuclear security experts, interviews with author, Beijing, October 2011 and January 2013. 30. Pan et al., Management of Nuclear and Radiological Terrorism Incidents. 31. Hui Zhang, “Securing China’s Nuclear Power Plants,” Journal of Nuclear Materials Management, Vol. 42, No. 2 (Winter 2014. ): 22-32. 32. For example, see Liu Senling, “Status of Research on Nuclear Security Technology in CIAE” (presentation, Harvard-Peking University Workshop on Nuclear Security, Beijing, October 13-14, 2011). 34. Ministry of Public Security of the People’s Republic of China, “The First Determined Lists of ‘East Turkestan’ Terror Organizations and Terrorists” [in Chinese], December 15, 2003, http://www.mps.gov.cn/n16/n983040/n1988498/1988553.html. 35. “Al-Qaida: Dead or Captured,” NBCNews.com, June 22, 2005, http://www.nbcnews.com/id/4686228. 36. See “Al-Qaeda Asks East Turkestan Terrorists to Covertly Enter Syrian War” [in Chinese], SINA.com.cn, October 29, 2012, http://news.sina.com.cn/w/2012-10-29/092225461490.shtml. 37. China Foundation for International and Strategy Studies, Combating Nuclear Terrorism: Nonstate Actors’ Nuclear Proliferation and Nuclear Security [in Chinese] (Beijing: Social Science Academic Press, 2012), p. 134. 38. Chinese nuclear regulator, interviews with author, Beijing, October 2012. 39. Chinese nuclear regulator, interviews with author, Beijing, December 2012. China, North Korea’s only meaningful ally, should use its leverage to ensure that Pyongyang returns to meaningful negotiations on its nuclear weapons program. Twenty years ago this month, North Korea and the United States concluded the Agreed Framework. That accord halted North Korea’s nuclear weapons program at Yongbyon in exchange for heavy fuel oil and the eventual provision of two light-water reactors (LWRs) at Kumho, North Korea. The agreement was the result of prolonged negotiations during a tense period. Unfortunately, its success was temporary. Eventually it became clear that North Korea in the late 1990s was pursuing a clandestine program to enrich uranium for use in nuclear weapons in violation of the Agreed Framework. In October 2002, when an official U.S. delegation confronted the senior North Korean negotiator with this information during talks in Pyongyang, the negotiator admitted that North Korea was pursuing an enrichment program and other unspecified programs. Subsequent to this admission, North Korean officials maintained that they did not have an enrichment program. They changed their story again in 2010, when they revealed to visiting U.S. nuclear expert Siegfried Hecker that they had an enrichment facility at Yongbyon with 2,000 spinning centrifuges. Hecker was permitted to visit this facility and was impressed with its sophistication. Thus, the issue of North Korea’s clandestine enrichment program was finally put to rest. North Korea proudly admitted having the program, despite its past disclaimers and the skepticism of observers in the United States and China who questioned the U.S. intelligence community’s assessment that North Korea had a clandestine enrichment program for nuclear weapons development. The October 2002 meeting in Pyongyang triggered a series of events starting with the North pulling out of the nuclear Nonproliferation Treaty and the United States halting construction of the two LWRs and ceasing shipments of heavy fuel oil. North Korea then started to reprocess the more than 8,000 spent fuel rods at Yongbyon, stored in a cooling pond pursuant to the Agreed Framework, for the purpose of fabricating nuclear weapons. During this period, China brought the United States and North Korea together in April 2003 for talks in Beijing. Those discussions resulted in a decision to establish the six-party talks to address nuclear issues with North Korea through negotiations. The first six-party meeting was in August 2003. As part of this process, the six parties issued a joint statement on September 19, 2005, committing North Korea to comprehensive and verifiable denuclearization in return for security assurances, economic assistance, and the eventual provision of LWRs. Although some subsequent progress was made, North Korea in 2008 refused to commit to a written verification protocol providing for meaningful monitoring of its denuclearization efforts. When confronted with their lack of cooperation on the monitoring, North Korean officials summarily declared an end to the six-party talks. This declaration came after the United States had complied with a request by North Korean officials to remove their country from the list maintained by the U.S. Department of State of countries supporting terrorism. To date, the six-party talks and related nuclear negotiations with North Korea have not resumed. It is estimated that North Korea has six to 12 plutonium nuclear weapons and an active enrichment program. These realities must be addressed. North Korea has an active ballistic missile program that includes its long-range Taepo Dong missiles and its new KN-08 long-range, solid-fueled mobile missile that, according to people familiar with North Korea’s missile program, is capable of reaching any location in the United States. North Korean missiles now pose an existential threat to South Korea and Japan and, once the KN-08 is operational, will pose such a threat to the United States and other countries. Since 2006, North Korea has conducted three nuclear tests, four long-range Taepo Dong missile launches, and numerous launches of short- and mid-range ballistic missiles, all in violation of UN Security Council resolutions. The December 2012 Taepo Dong launch successfully put a North Korean satellite in orbit. The routine launches of Pyongyang’s short- and mid-range missiles have established that these missiles are accurate. They are also in abundant supply, as North Korea has sold these missiles and its technical know-how to countries such as Iran, Libya, and Syria. Despite UN resolutions prohibiting North Korea from selling or purchasing missiles and high-end weapons, North Korea has done its best to continue to sell these proscribed items, mainly for revenue purposes. The Proliferation Security Initiative, with more than 100 countries participating, has been relatively effective in monitoring North Korea’s consistent attempts to circumvent these resolutions. Since the death of Kim Jong Il in December 2011, his son and successor, Kim Jong Un, has assumed a more belligerent approach toward relations with Japan, South Korea, and the United States. With the reconstitution of a reactor, which has a capacity of 5 megawatts electric, and a reprocessing facility, which uses the standard PUREX (plutonium-uranium extraction) process for separating plutonium from spent fuel, at the Yongbyon site, North Korea is capable of producing more fissile material for nuclear weapons and may in fact be doing so. At the same time, Pyongyang apparently is expending resources on the miniaturization of these weapons, with the goal of mating them to ballistic missiles. Overall relations with North Korea have deteriorated exponentially since the 2010 sinking of the Cheonan, a South Korean ship, which killed 47 sailors. In March and April 2013, North Korea threatened pre-emptive nuclear attacks against South Korea and the United States and brazenly posted a YouTube video of a simulated nuclear attack on New York City. Pyongyang followed that with the brutal execution in December 2013 of Kim Jong Un’s uncle, Jang Song Thaek, the second-most powerful official in North Korea, and the reported purge of officials whom Jang had appointed. These unsettling developments coincided with the unprecedented shuffling of senior generals in the Korean People’s Army, which contributed to speculation that the domestic situation in North Korea was fluid and potentially volatile. North Korea’s active nuclear and missile programs, if unchecked, could encourage other countries such as Japan and South Korea to build their own nuclear weapons despite extended-deterrence commitments from the United States. Senior Japanese and South Korean officials often broach this subject in private conversations with their U.S. counterparts, noting the nuclear threat from North Korea and their concern that North Korea will not give up its nuclear weapons and will build more nuclear weapons and missile delivery systems capable of defeating any missile defense system in these countries. Current UN sanctions on North Korea are having a significant impact. Additional UN sanctions may target the leadership’s money and deny Pyongyang access to international financial institutions, which are necessary for the movement and laundering of its money. North Korea undoubtedly will work hard to circumvent these sanctions and acquire needed revenue through the sale of missiles, high-end weapons, and possibly even nuclear materials and nuclear know-how. Pyongyang’s past nuclear relationship with Syria should not be forgotten. The preponderance of evidence indicates that North Korea provided Syria with the assistance and materials necessary to build a plutonium-based nuclear weapons program. The key element of the assistance was a gas-graphite reactor with an estimated capacity of 40 megawatts thermal, making it similar to but larger than North Korea’s Yongbyon reactor. This is a powerful reminder that nuclear proliferation from North Korea is a concern. Progress in addressing North Korea’s nuclear programs depends greatly on China’s role because North Korea depends on China for food and most of its energy supply. 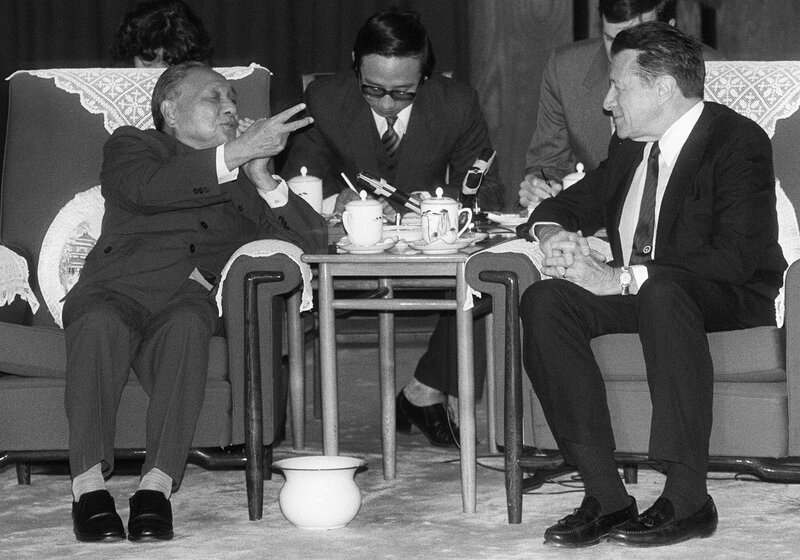 Historically, the bilateral relationship with China, memorialized in a 1961 treaty, was deep and thorough—like “teeth and lips,” as it was described in a common refrain from China and North Korea during the warmer days of their relationship. China is North Korea’s only meaningful ally, even with the current tension in the bilateral relationship. After the implosion of the Soviet Union, Russia scaled back its relations with North Korea, leaving only China as the North’s true benefactor. Indeed, China provides North Korea with more than 70 percent of the country’s requirements for crude oil; significant amounts of food and aviation fuel also come from China. Chinese-North Korean trade was worth more than $1.3 billion last year, with China investing heavily in the North’s precious-metals sector. Although bilateral relations have deteriorated since Kim Jong Un succeeded his father and one seldom hears the “teeth and lips” refrain, the relationship is still strong. Given the close and long-standing relationship between the two countries and the reliance of North Korea on China for energy and food assistance, the United States believes that China can exert more pressure on the North to return to meaningful nuclear negotiations and persuade North Korea to take some important steps. In particular, North Korea would be expected to declare that it is still committed to the 2005 joint statement and thus is prepared to dismantle its nuclear program in return for assurances that the United States and other countries would not invade the North or seek regime change and for economic assistance that would include engagement with international financial institutions, the provision of LWRs, and, ultimately, the establishment of normal relations with Japan, South Korea, and the United States. Only China has this leverage with North Korea, and it is in China’s interest to use this leverage to ensure that North Korea returns to meaningful negotiations. A refusal by North Korea to give up its nuclear weapons could incite other countries in the region to pursue their own nuclear weapons programs, as noted above. Such a development would be of great concern to China. Also of concern to Beijing would be the possible proliferation of nuclear materials and the resulting adverse effects on China of such proliferation. As it did in 2003, China should promptly convene an exploratory meeting in Beijing with North Korea and the four other countries involved in the six-party talks process. This meeting would determine if North Korea is committed to fulfilling the terms of the 2005 joint statement. If it is committed to that goal, then the resumption of talks, focusing on implementation of the joint statement, would be possible. This would benefit the international community and constitute a diplomatic success for China. Convincing China’s new leader, Xi Jinping, to take the lead on this issue also could lead to a closer dialogue on other issues currently affecting China’s relationship with the United States and other countries. If North Korea refuses to give up its nuclear weapons, then China, Japan, Russia, South Korea, and the United States need a strategy for dealing with a nuclear North Korea capable of destabilizing the region. This strategy would need to ensure that North Korea does not proliferate missiles, high-end weapons, and nuclear materials. Permitting North Korea to retain and build more nuclear weapons will destabilize Northeast Asia. That could lead to a nuclear arms race in the region and the potential for a progressively isolated and desperate North Korea proliferating nuclear materials and know-how. China, with the support of the United States, must prevent this from happening. Joseph R. DeTrani, the president of the Intelligence and National Security Alliance, was U.S. special envoy for the six-party talks with North Korea from 2003 to 2006. He was mission manager for North Korea from 2006 to 2010 and director of the National Counterproliferation Center from 2010 to 2012 in the Office of the Director of National Intelligence. The views expressed in this article are those of the author and do not necessarily reflect the views of any government department or agency. 1. Peter Crail, “N. Korea Reveals Uranium-Enrichment Plant,” Arms Control Today, December 2010. 2. David Albright and Paul Brannan, “The Al Kibar Reactor: Extraordinary Camouflage, Troubling Implications,” ISIS Report, May 12, 2008, http://isis-online.org/uploads/isis-reports/documents/SyriaReactorReport_12May2008.pdf; David Albright and Paul Brannan, “Syria Update III: New Information About Al Kibar Reactor Site,” ISIS Report, April 24, 2008, http://isis-online.org/uploads/isis-reports/documents/SyriaUpdate_24April2008.pdf.